Jade Hill, Jade Hill is a first-year student at Seattle Pacific and is an intended physiology major. 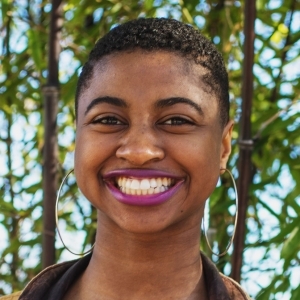 She is a Northwest native and maintains a love for people and dancing. My name is Jade Hill, I am from Tacoma, Washington, and I am a Falcon. 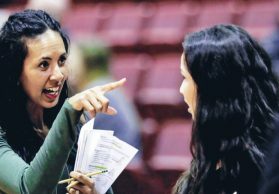 Orientation Week for an incoming first-year student can be an overwhelming time of change. Most students are moving away from home, leaving behind friends, family, and familiarity. 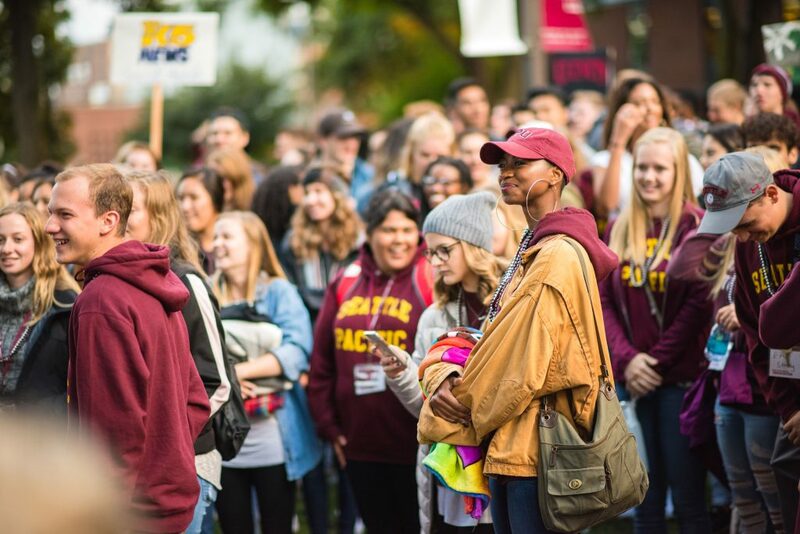 When I was a first-year student, as emotionally draining this transition seemed, I experienced much growth and became part of another family: the Falcon Family. 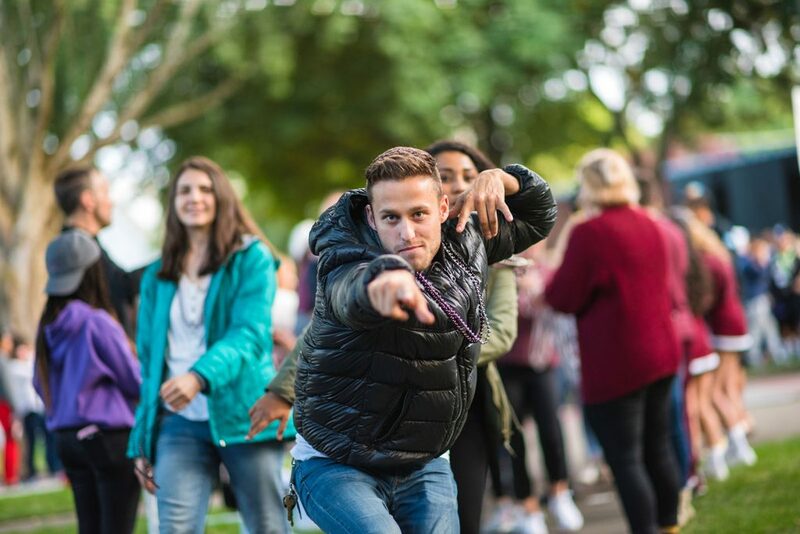 During an event called Falcon Fest, first-year students were able to engage with other students, faculty, and people within the community surrounding campus. We all gathered in Tiffany Loop where the magic of it all began. With music booming in the background, I mingled and talked with other students. The air buzzed with the life and energy of the evening. Next came the pep rally. 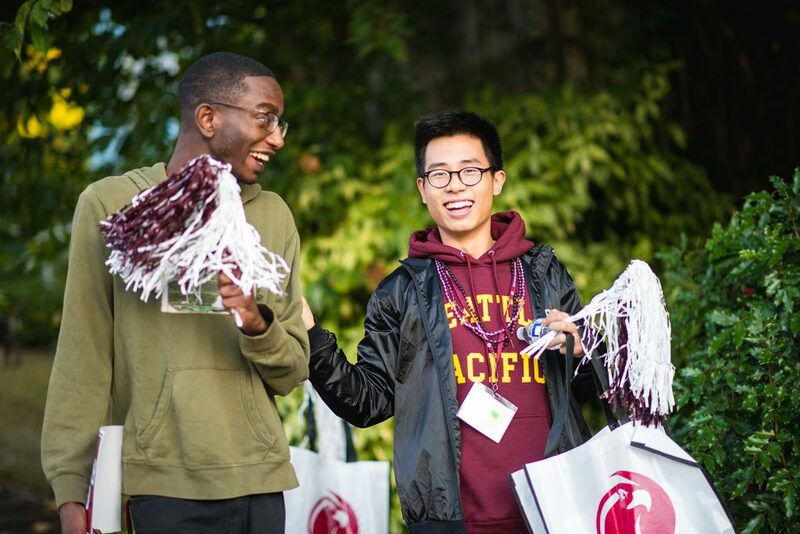 From performances by the cheer team to quirky skits put on by the Student Union Board, everyone seemed to be unified in such a wonderful experience. 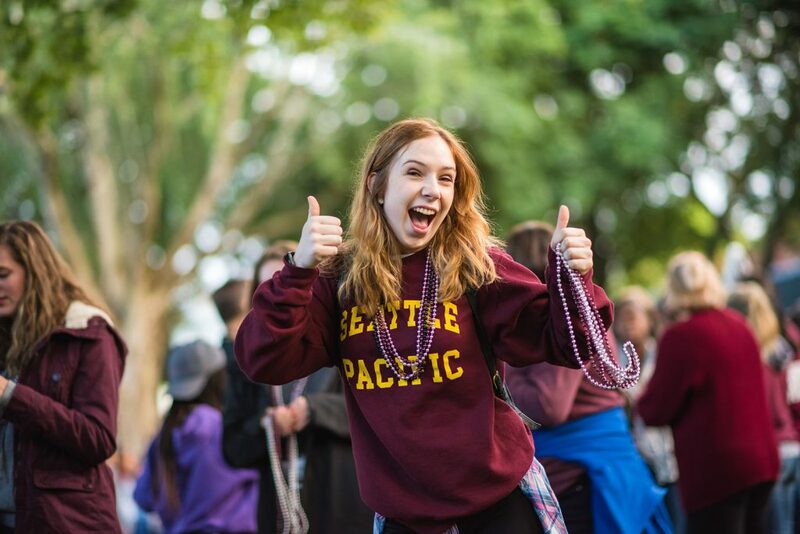 Equipped with pom-poms and adorned with maroon beads hanging from our necks, we were ready for battle. 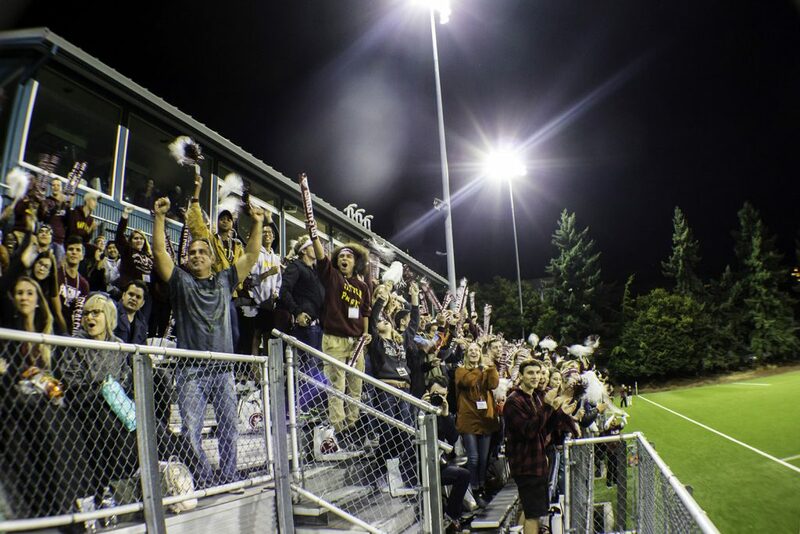 Facing the hilly terrain ahead of us, we were prepared to march to Interbay Stadium to support our men’s soccer team. Though to be quite honest, it was exhausting. During the mile-long trek to the stadium, we were given T-shirts, more pom-poms, more beads, inflatable thunder sticks so we could cheer at the game, and much-needed bottles of water. I took a moment to pause and absorb all that was happening around me and found it strange how much I felt at home during all of this. People were laughing with each other, taking photos together, and learning about each other. I was able to meet and speak with so many interesting people who weren’t as different from me as I had originally thought. One of the students I met early on in Orientation Week turned out to be a distant cousin of mine! Though many of us came from different cities, states, backgrounds, and experiences, we all shared a oneness in the experience of Falcon Fest. 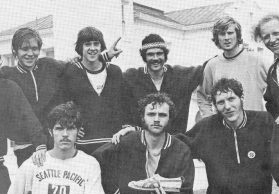 Upon arriving at the soccer game, we grabbed hot dogs, hamburgers, chips, and soft drinks (with vegetarian and vegan options), and found seats in the bleachers. Though not a huge fan of hot dogs, after the long hike, I developed a greater appreciation for them. If I wasn’t sure what was happening when a call was made, I’d lean over to a neighbor and ask. I was so grateful for his explanations, and we’ve become friends. 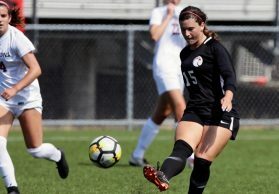 Even for those of us who didn’t possess a deep understanding of soccer as a sport, when our team scored a goal, everyone went wild. Thunder sticks clashed together, the stands erupted into cheers and feet never seemed to quit stomping. At the end of the night, we marched back to campus with a newfound sense of pride in our shared falcon identity. Moving to a new city, meeting a whole new group of friends, and adjusting to life as a college student can be stressful. But Falcon Fest was a fun and memorable experience, and I’m looking forward to what the rest of this year has in store. 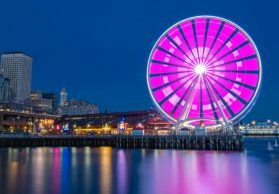 My name is Jade Hill, and I now live in Seattle, Washington. I am a Falcon. Alohomora! 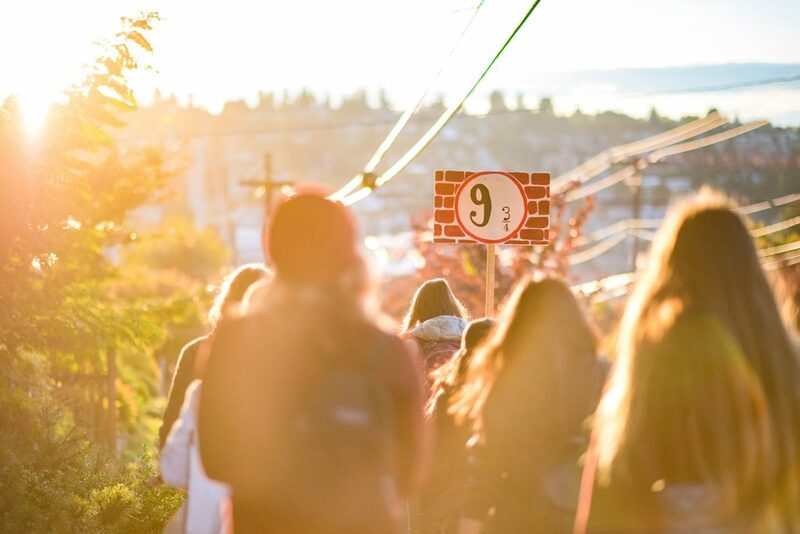 Harry Potter-themed Group 9 (and three quarters) march down to Interbay Stadium as the setting sun bids them good luck! GO FALCONS! This candid shot reflects the high spirits of all those who took part in Falcon Fest! Grateful for a break from the steep incline, these ladies skip down the hill on the way to the soccer match! But first, let me take a selfie! 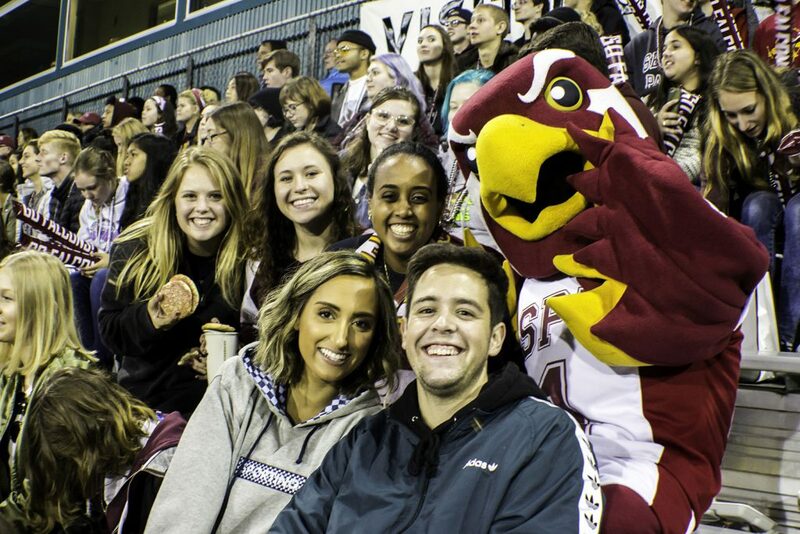 Fans take a moment to snap a photo with our mascot, Talon the falcon! Squad up! 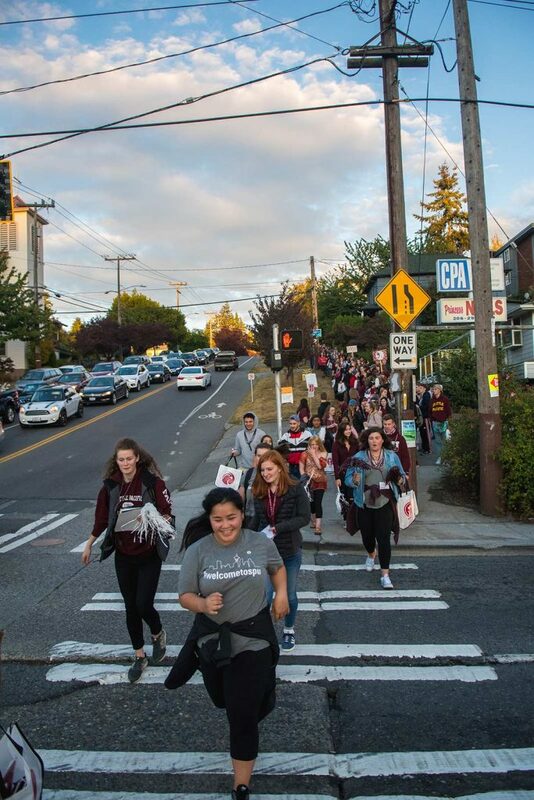 Hordes of SPU students hustle across the street in order to make it to the game in time! 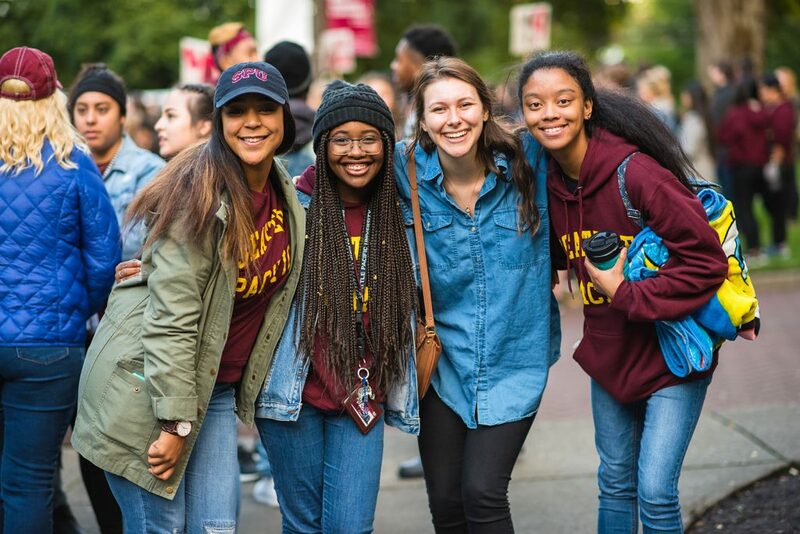 These gal pals pause for a photo op during the pep rally; look at those gorgeous smiles! Donning a cap borrowed from a friend, I looked on with a feeling of immense pride. 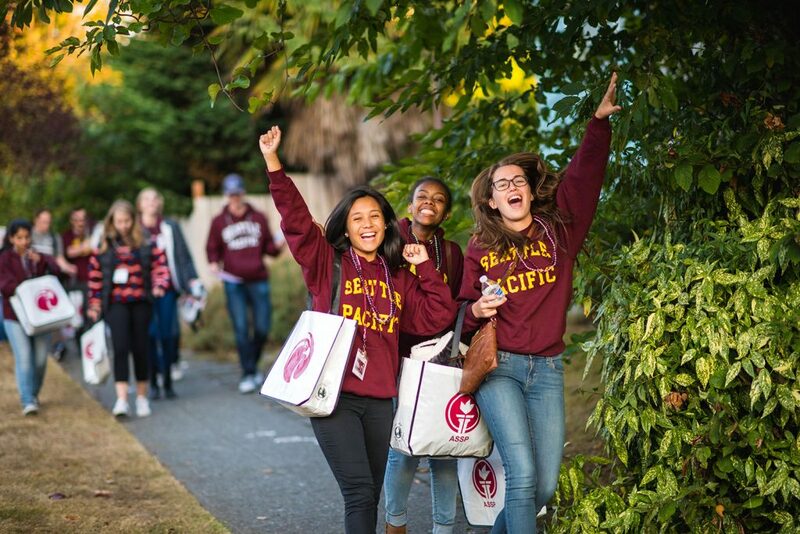 I knew at once that I belonged at SPU.